Bardadim Tattoo T Shirts - Japanese Tattoo Artist Brooklyn, NY. 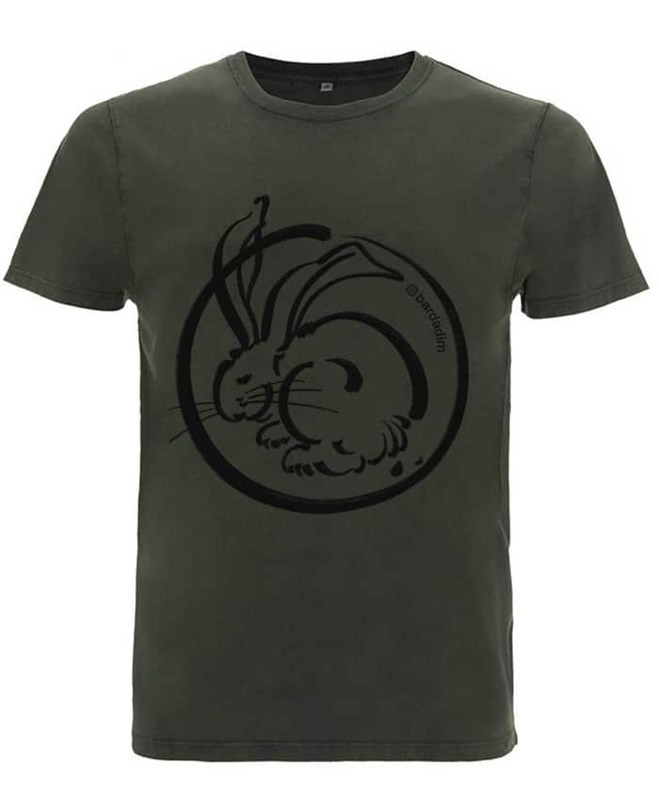 Bardadim Tattoo T-Shirts in Beige (Fruit Of The Loom) and in Washed Green (Organic Continental clothing) sizes M, L, XL. $25. Shipping Worldwide. 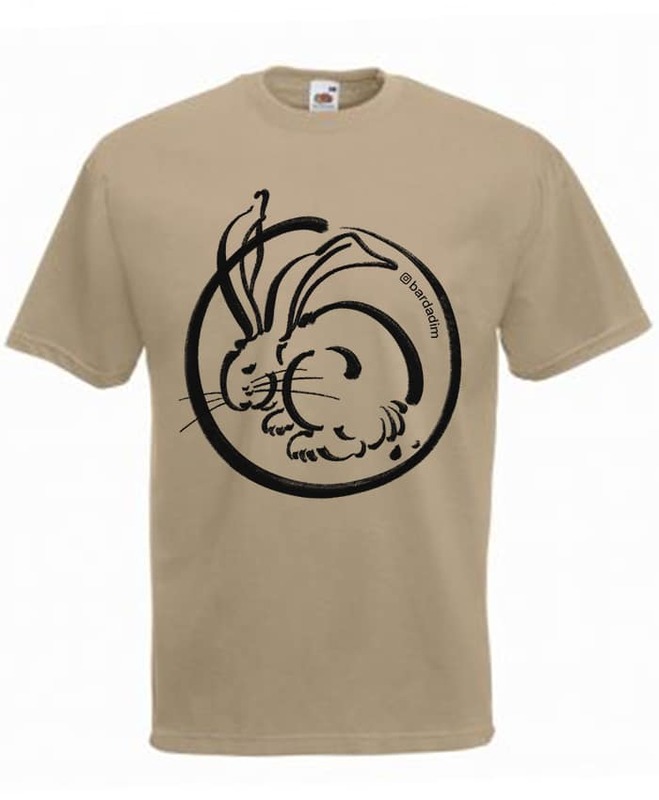 The 2018 Bardadim Tattoo design is Rabbit Enzo – If you heard about “The Moon Rabbit” you probably would recognize the idea. In folklore it is a rabbit that lives on the Moon, based on pareidolia that identifies the markings of the Moon as a rabbit. The folklore originated in China, and then spread to other Asian cultures. In Chinese folklore, it is often portrayed as a companion of the Moon goddess Chang’e, constantly pounding the elixir of life for her; but in Japanese and Korean versions, it is pounding the ingredients for rice cake. In some Chinese versions, the rabbit pounds medicine for the mortals. Ensō (円相) is a Japanese word meaning “circle” and a concept strongly associated with Zen.